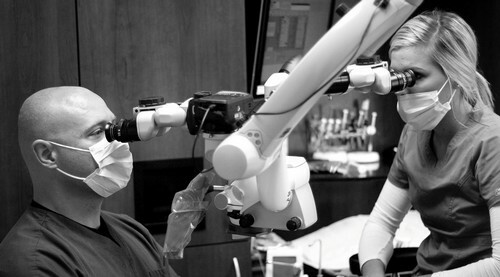 We will provide you with the finest endodontic therapy available. We strive to achieve excellence through compassion and innovation. We offer comfortable and high-quality care that will help you keep your teeth for a lifetime. To support that belief, we subscribe to a program of preventive dental care. It is also our belief that the prevention of disease is far more enjoyable, less costly and more comfortable for all concerned. So our goal is to help you achieve and maintain a healthy mouth as quickly and as economically as possible. In an ongoing effort to provide you with the best care possible, our practice acquired the Veraviewepocs 3D extraoral imaging system by J.Morita. 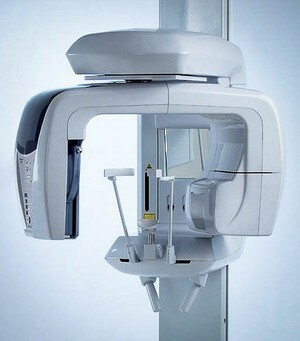 This three dimensial Cone Beam CT system is an innovative way to access focused field 3D images of your tooth. With this information, it will enable Dr. Binkley to make a more informed diagnoses. The high resolution images allow Dr. Binkley to view your teeth more clearly and is a cost effective way of identifying a wide range of dental issues. It utilizes 80% less radiation than a traditional x-ray, while still providing more detailed information. The CT scan will help Dr. Binkley give you the most accurate diagnosis, prognosis, and treatment recommendations. These scans often yield information that helps you avoid unnecessary treatment. I have never seen a person more gentle or more concerned with a patients comfort than Dr. Binkley. If you must have a root canal, I would recommend Dr. Binkley. being the unfortunate recipient of bad teeth, I am no stranger to Dental offices. This was by far the very best experience I have had in over 40 years. Very thoughtful care and explanation, no pain, great modern office and equipment. I will not hesitate to get another root canal from Dr. Binkley and staff. Great job, thank you team for taking care of me so wonderfully. I have had a few root canals in the past and was a lot younger then, My dentist recommended to Dr. Binkley for a root canal. I had a great experience at my first appointment and the same results at my second appointment. The Dr. and his staff are supper friendly and their service is top notch. I would recommend Dr. Binkley and his staff anyday!!!! I've had to visit Dr Binkley twice for root canals. He and his office staff are awesome. I wish they provided regular dentistry services because I would gladly switch and come to him for everything! This was my first root canal and had I known how easy it was to go through I would have done it before. Kudos to the Dr. and staff. I even received a call from Dr. Brinkley the next day checking to see how I was doing.